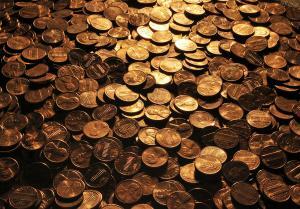 A car dealership in America has made the news after it refunded a customer hundreds of dollars with pennies. In January of this year Irena Mujakovic purchased a 2003 Saab from Holiday Motors in North Florida for $300, which included a 12-month vehicle warranty. However, when the car needed repairs soon after she was charged $400 as the dealership said the warranty didn’t cover labour costs – she took the matter to court and Holiday Motors was ordered to refund this additional charge, which the owner did using loose change and one dollar bills. It is a natural part of any customer-facing business that from time-to-time it will be required to refund customers for faulty goods or services. In this instance the dealership was evidently to blame, but for cases in which the dealership or garage has not committed any wrongdoing, a motor trade insurance policy could help protect against any costs incurred from a customer’s negligence or liability claims. Ed Di Miranda, who runs the dealership, said the money was all the cash he had on him at the time and that he had to empty containers where he keeps spare change because business had been slow. He added: "I'm doing what the Department of Motor Vehicles asked me to do; it is legal tender." Ms Mujakovic was reportedly very angry at the incident, claiming she did not have time to sit and count the bag full of coins to ensure the full value was refunded. Moreover, with many banks and coin machines charging a percentage for processing pennies, there is a good chance the unhappy motorist could be left out of pocket by the whole ordeal.